Happy Christmas Eve Eve! It’s nearly Christmas and I cannot wait. Yesterday was my last day of work for the year and now I’ve got eleven days off! There will be tons of reading and relaxing and doing absolutely nothing and it’ll probably be over before I know it. Like this Festive Fortnight – tomorrow is the last post already. I feel as if we’ve only just started! Today I’ve got a fun post for you that involves both books and baking (the perfect combination, of course). A few years ago I posted a book and dessert pairing guide, with a graphic made by Shari’s Berries. A few days ago, they got in touch with me again about a Christmas version of such a guide. It seemed like the perfect post to include in my Festive Fortnight! 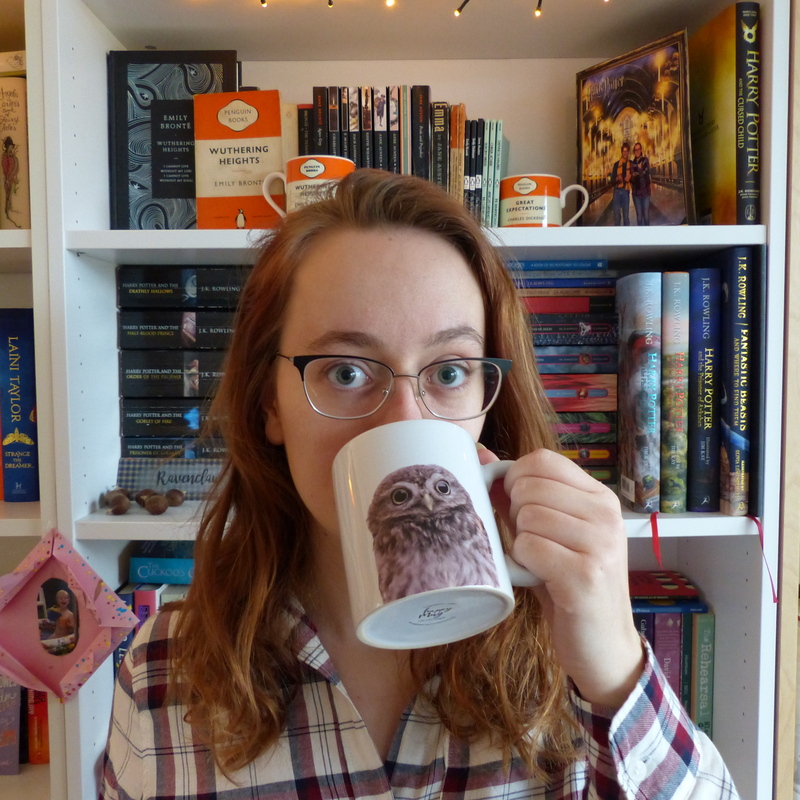 We’re eleven days into the Festive Fortnight, so it’s high time for a book tag! I went in search of a fun Christmas-themed one and Google brought me the Twelve Days of Christmas Book Tag via XingSings. I’ve been reminded once more of how bad I am at making choices; picking books for the answers to these questions was so hard. But I did, so let’s get into it straight away! The partridge stood alone in the pear tree. What is your favourite stand alone? Man, we’re jumping straight into the deep end, aren’t we? This question tore me up inside, but in the end I’m going for Aristotle and Dante Discover the Secrets of the Universe by Benjamin Alire Sáenz. I might change my mind again tomorrow, but that’s okay. This is one of my favourite books ever! It’s got so much love and heart and it’s just wonderful. I’ve lost count of how many people I’ve recommended it to. The Festive Fortnight has now officially started! I’ve been looking forward to this moment for over a month – and now it’s here. Hurrah! I baked this cake over a month ago as well; it’s the first Festive Fortnight bake I made. At first, I wasn’t too sure this cake was going to be a success. It was a bit of an experiment. 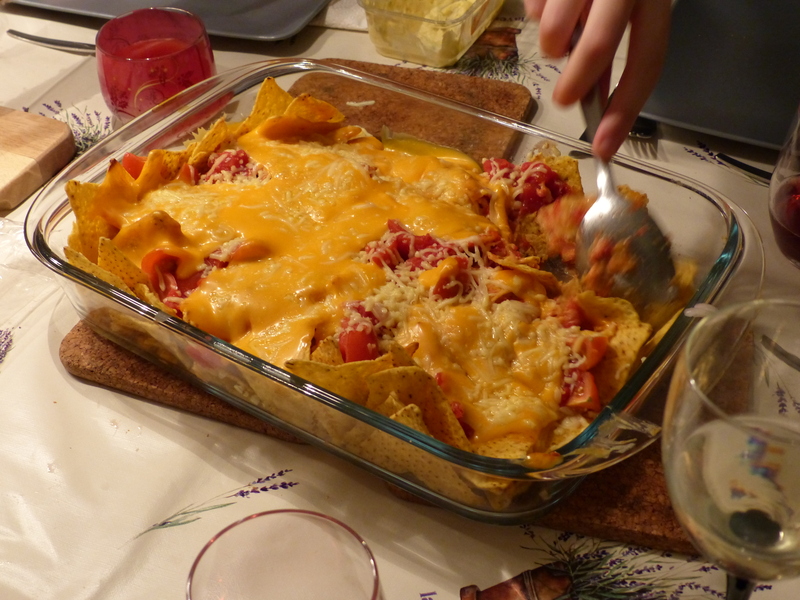 I’d made this recipe from scratch, and I was baking with fresh cranberries for the first time. They’re weird little buggers, aren’t they? I tasted one since I was curious what they’d taste like before baking or cooking them. Turns out, they’re pretty gross! Anyway, despite my worries, this cake turned out absolutely delicious. It’s got a lovely almond taste, which combines magnificently with the orange and the cranberries. This cake is perfect for when you’re looking for something that is Christmas-y, but isn’t too heavy. The tang from the citrus and the cranberries made for a nice fresh contrast with the sweetness from the almond and the glaze. 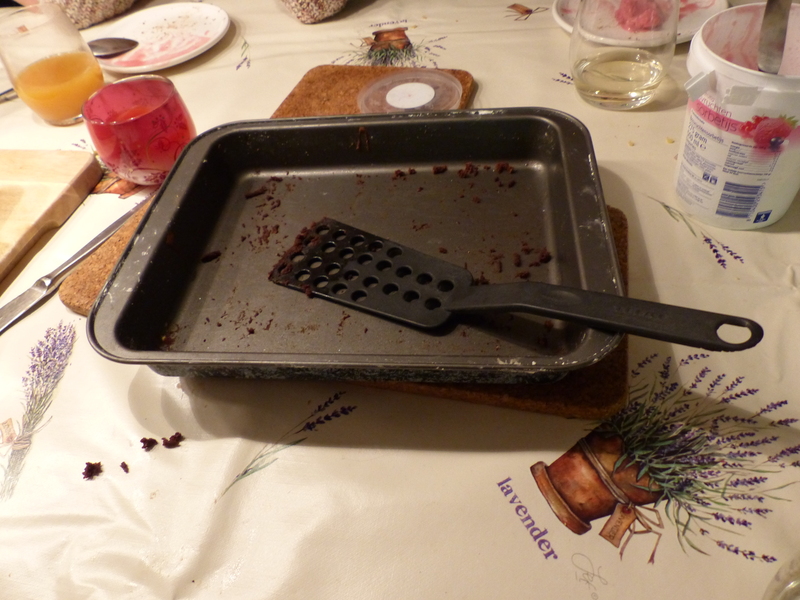 Although the cake was amazing, the pictures of it didn’t exactly turn out as I’d hoped. Dusk was already starting to settle in when I took these pictures – that’s the trouble with winter, I suppose! Only two weeks until Christmas! Who’s excited?! Since I started this blog, an inadvertent annual tradition has made its way into my Decembers; it consists of me kicking myself for not starting work on Christmas recipes earlier in the season. I love Christmas, and I love Christmas recipes, but I mostly end up not posting them, or posting them after Christmas, like last year’s gingerbread cookies. For the coming two weeks, I’ll be posting every single day as part of my Festive Fortnight of Blogging! There’ll be plenty of Christmassy recipes (6 in total! ), and there’ll also be bookish posts and other festive fun things. I’ve got it all planned out (for a change)! This marks the first post, and the last one will be a round-up on the 24th. So, get ready for two weeks of holiday cheer and festive fun leading up to Christmas! I hope you all had a wonderful Christmas! I had a lovely day with my family, eating lots and lots of food – including these gingerbread cookies, which turned out to be a huge success. Definitely one to remember for next year! I hadn’t expected to make quite as many cookies as I did – I’m pretty sure there were about 120 of them! Of course, they were quite small and not very thick, so that may have something to do with it. If I had actual gingerbread man cookie cutters there might not have been this many. Not that I’m complaining! They turned out to be delicious, and I had a lot of fun making them, especially once I got the hang of piping the icing. This week is technically a week off, at least from my internship, but I’ll probably spend most of it working on my very last university project/assignment/thingy. January will be the last month of my internship and then I’m done with university… Out into the ‘real’ world I go – terrifying yet exciting! I do think I’ll have much more time to blog again, which is something I’m really looking forward to. But first things first; let’s get to the recipe for these yummy cookies! While I don’t celebrate Christmas in the gift giving sense, it’s no trouble for me to think of ten books I’d love to receive! Some of these books have been on my “to buy” list for quite a while, and some of them are new ones I’ve come across recently. I’d love for Santa to bring me these books as a Christmas present, but I doubt it’ll happen… Either way, I’m sure I’ll have a great Christmas, and I hope you will, too! Merry Christmas, everyone! It’s almost Christmas! Are you as excited as I am? I love Christmas, and all the good food and company and cosiness that comes with it. I think it’s my favourite time of the year (although I’ve said that before…). I figured I should come up with a nice Christmassy recipe before the day actually arrives, so yesterday I thought of these coconut and chocolate Christmas cookies, which you can use as decoration for your Christmas tree as well! I’m quite proud of these cookies, since I’m not that much of a cookie expert, and precision isn’t my strong suit when it comes to baking and decoration. For a while it seemed as if they weren’t going to work out very well, as the dough was a bit too dry, but that was easily fixed! The coconut flavour comes through very subtly, and the chocolate complements it nicely. What with it being winter and all, the sun started setting before 4pm today, so it was already pretty much dark out when I had to take pictures of the final result. Even though I love Christmas, I do hate that early sunset… The pictures turned out pretty okay, though, I think, so it’s all good! 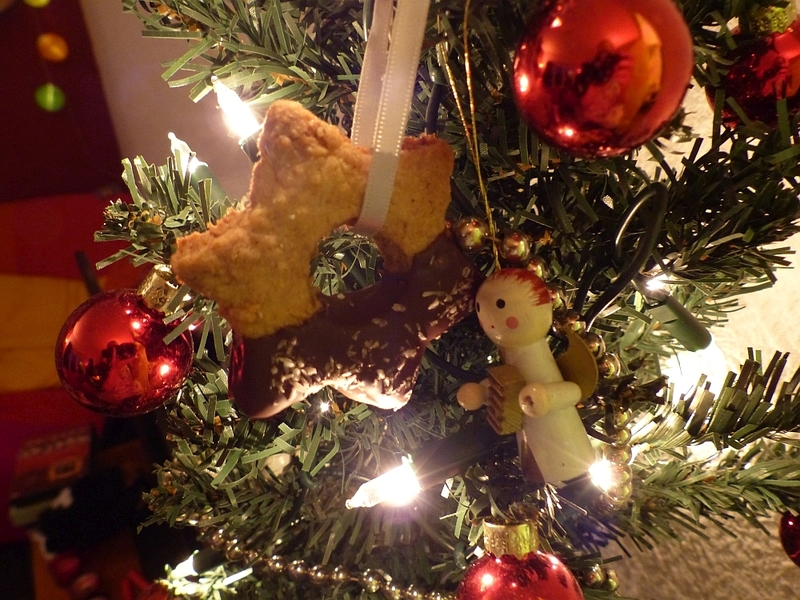 Hopefully you’ll like these delicious cookies just as much as I do, and before I forget: Merry Christmas, everyone! About two and a half years ago me and (most of) my high school friends graduated high school together, and after the summer of 2011 we all went to university. We’re all majoring in completely different things and we’re all very different people, but we vowed to stay friends after high school. Back then, my father warned me I shouldn’t get my hopes up too high, since most high school friendships don’t last very long after high school is over, especially if you’re with a group of ten different girls. Now, though, he frequently tells me how great he thinks it is we’re all still such good friends. We don’t see each other that often, but when we see each other it’s just like old times — actually even better, I think. Now we’ve all gone off to do our own things we’ve really each grown into our own personality and person. We’re no longer insecure teenagers, like most of us were back then, and we can just have fun together, even though we lead quite different lives these days. In 2011 we decided we were going to have our own Christmas dinner. We divided the tasks and we all had to bring something — one couple made the entree, another the main course, and then another the dessert. And of course there were snacks and drinks that needed to be bought. We had so much fun that night, so we decided to do it again in 2012 and make an annual tradition out of it. 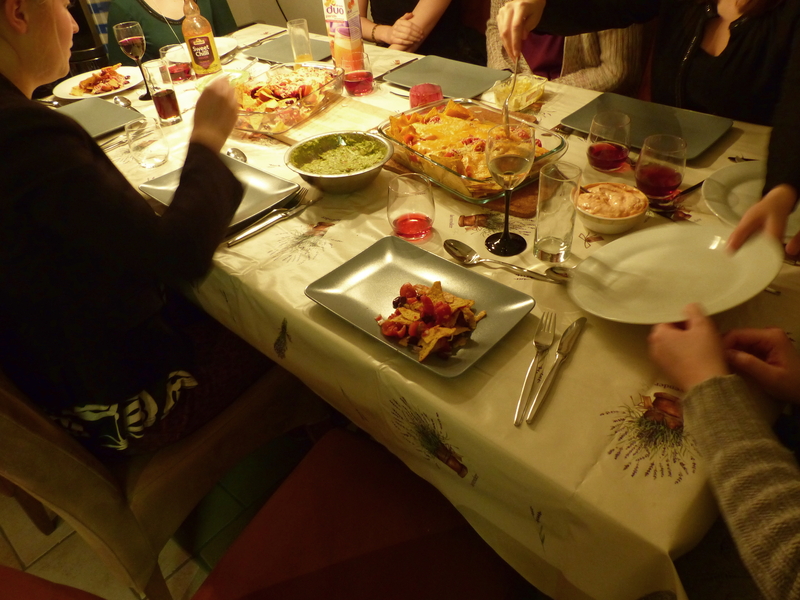 Yesterday we had our third annual Christmas dinner. A bit late, and not technically in 2013 anymore, but we didn’t care. It was just a lot of fun to all be together again! I asked the girls if I could take some pictures and make a blog post about it, and of course they didn’t mind. The pictures are not my best work, but the night was about having fun and being together, which we totally succeeded in. Oh, and girls, if you’re reading this; I love you guys and I’m so glad we’re all still friends! 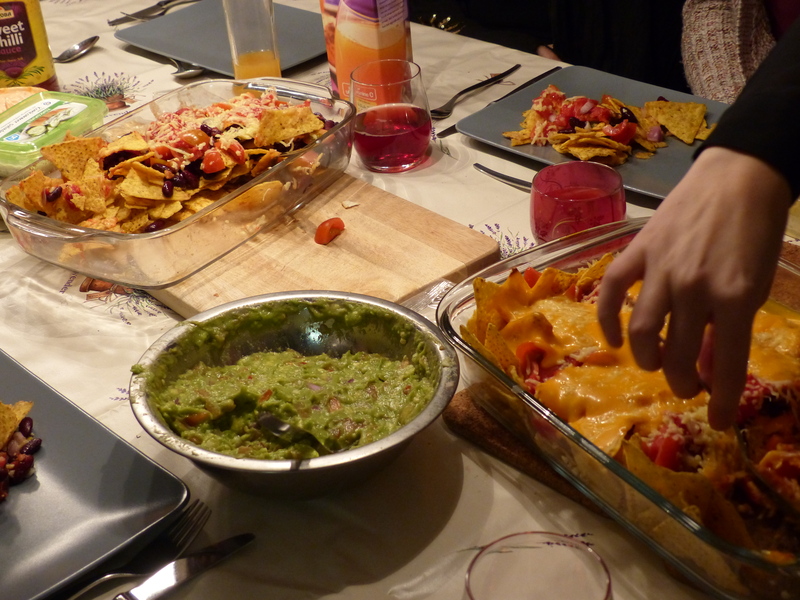 Delicious nachos and home made guacamole as entree dish. 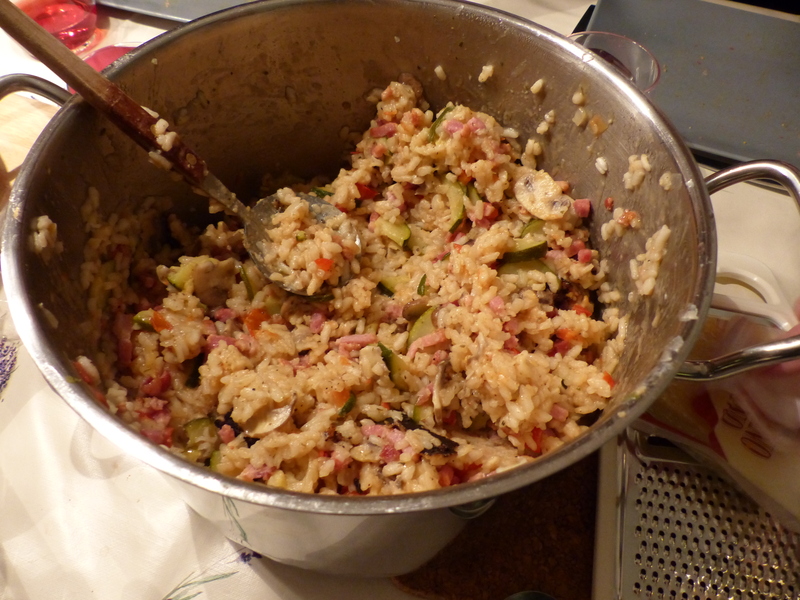 A really good risotto as main course. 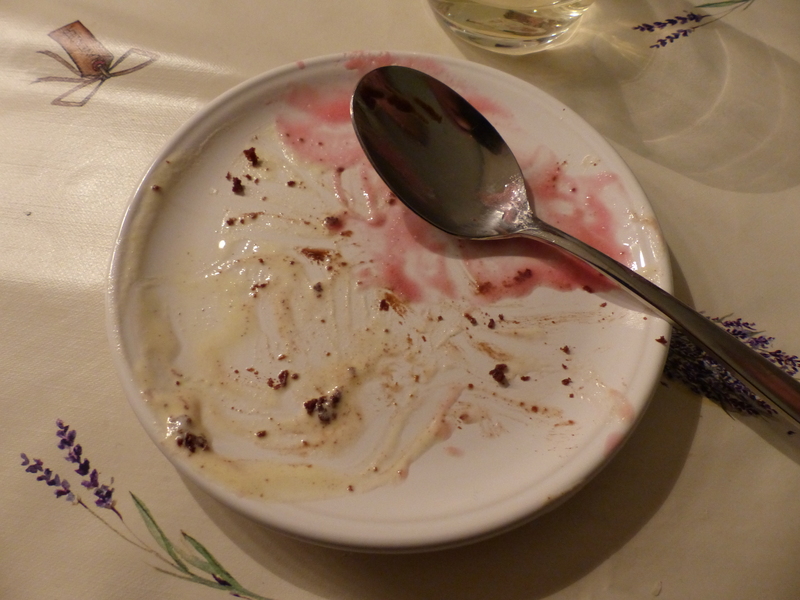 For dessert one of my friends and I made brownies (we served it with ice cream and strawberry sauce) but it was all gone before I remembered to take a picture. Oops! If you’re interested, click here for my brownie recipe. 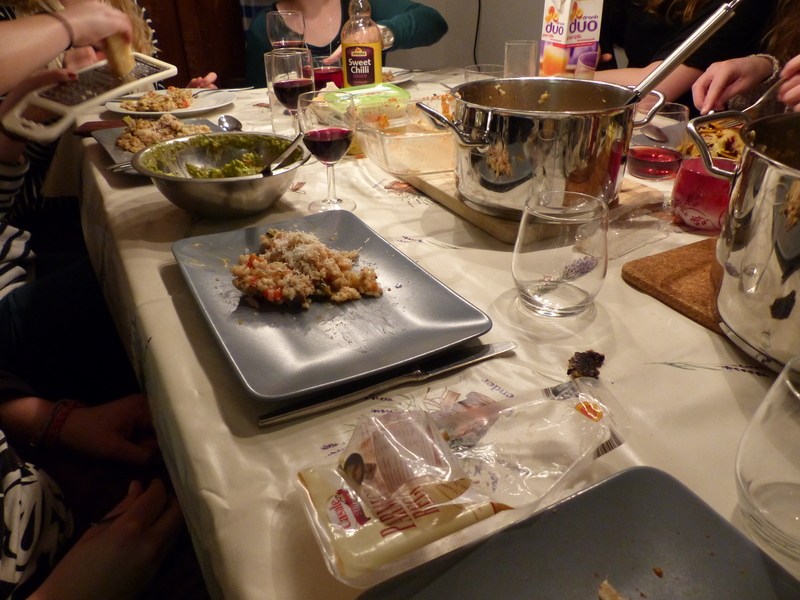 It was a really great night (even though it was cut short abruptly because some of us had to catch the train home) and I already can’t wait for our 2014 Christmas dinner! An ill-timed storm on Christmas Eve buries the residents of Gracetown under multiple feet of snow and causes quite a bit of chaos. One brave soul ventures out into the storm from her stranded train and sets off a chain of events that will change quite a few lives. Over the next three days one girl takes a risky shortcut with an adorable stranger, three friends set out to win a race to Waffle House (and the hash brown spoils), and the fate of a teacup pig falls into the hands of a lovesick barista.